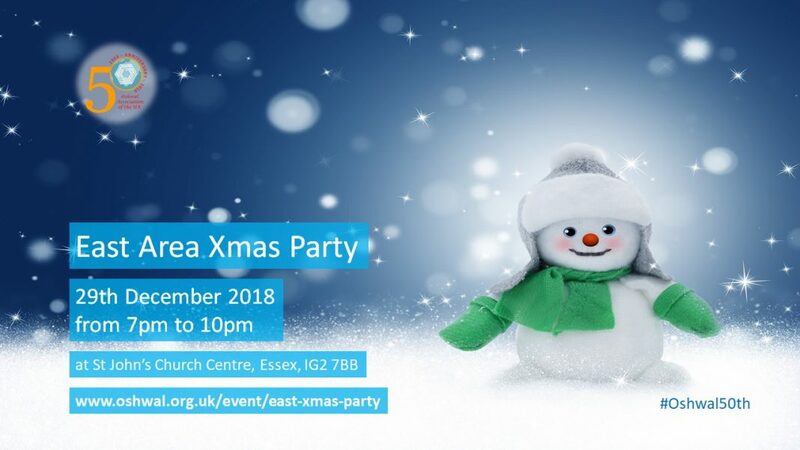 East Area Xmas Party | Oshwal Association of the U.K.
Come to this Saturday evening and mingle with other members of our community. We will celebrate X’mas and going into New Year and have fun. Come in your dancing shoes and party dress. We will play party games. At the door: £3.00 per event. Please ask your neighbours and friends to join in and also inform the above committee members for catering purpose. NON MEMBERS £ 4.00 per person.